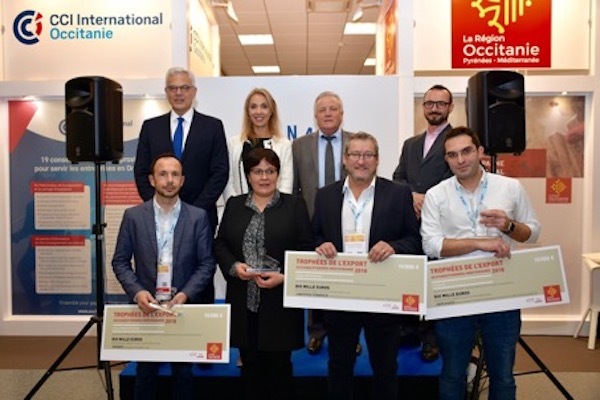 On December 6 2018, Mrs Nadia PELLEFIGUE for Occitanie – Pyrénées Méditerranée region and Mr Alain DI CRESCENZO, CCIR president awarded Trophée Export Occitanie 2018 Primo-exporter Prize to NYSEOS team. Among 700 companies, only 3 have been selected. Laguiole Synergie and Skylights have also been rewarded for their export strategy.